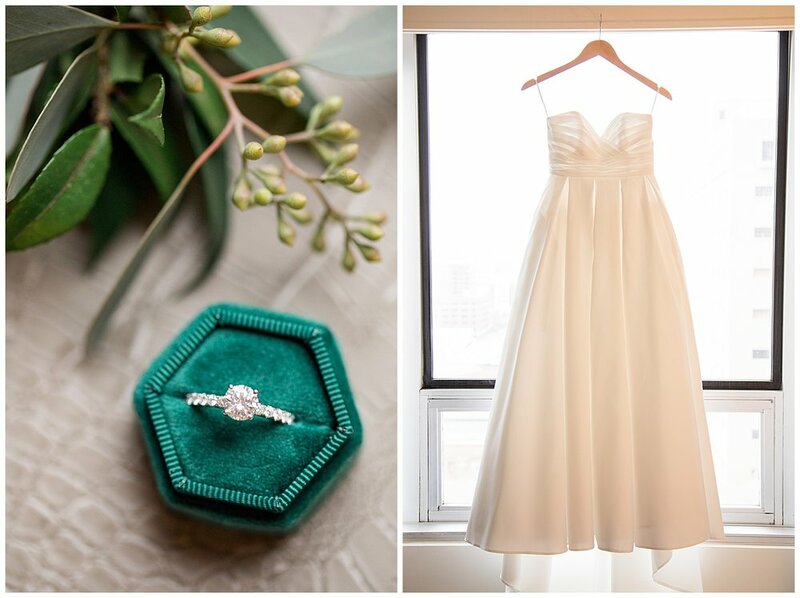 This gorgeous, classic wedding was an amazing way to start off my 2019 wedding season. After having a pretty quiet off season, it was great to be back out there doing what I love most! 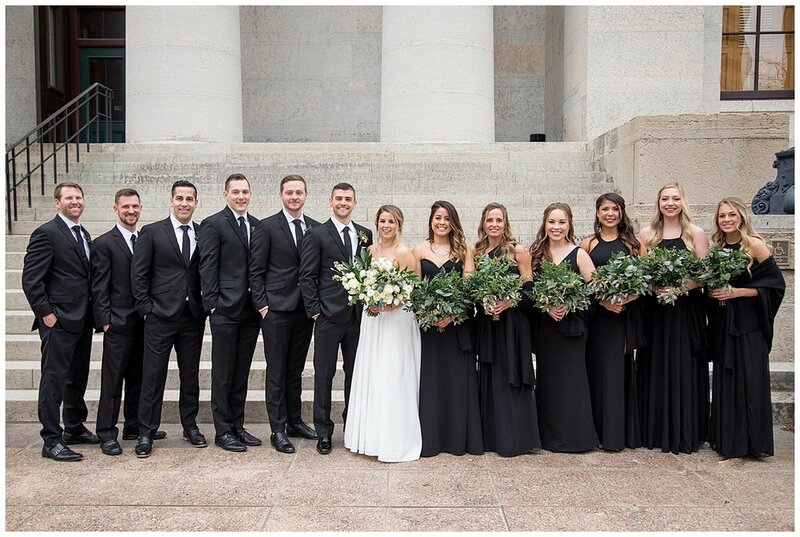 The simple black bridesmaids dresses paired with a whole lot of greenery made for the perfect modern and classic wedding day look. 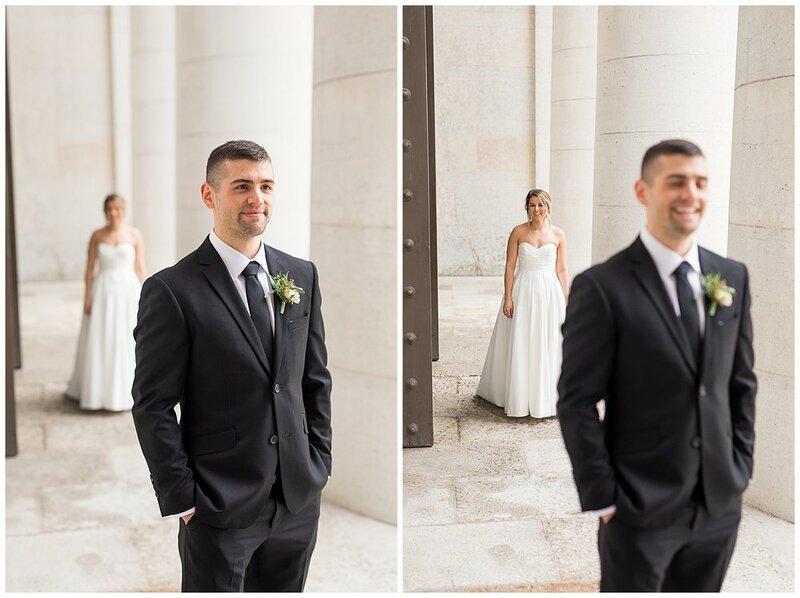 Ali & Luke shared their first look on the steps outside along the columns of the Ohio Statehouse. It was supposed to rain this day, but we were able to luck out with just some overcast skies. A short and sweet ceremony took place at Grace Fellowship in Upper Arlington followed by a giant dance party at the Annex at 801. We knocked out all of the photos we needed before the reception so Ali & Luke were able to enjoy cocktail hour and to mingle with their guests. 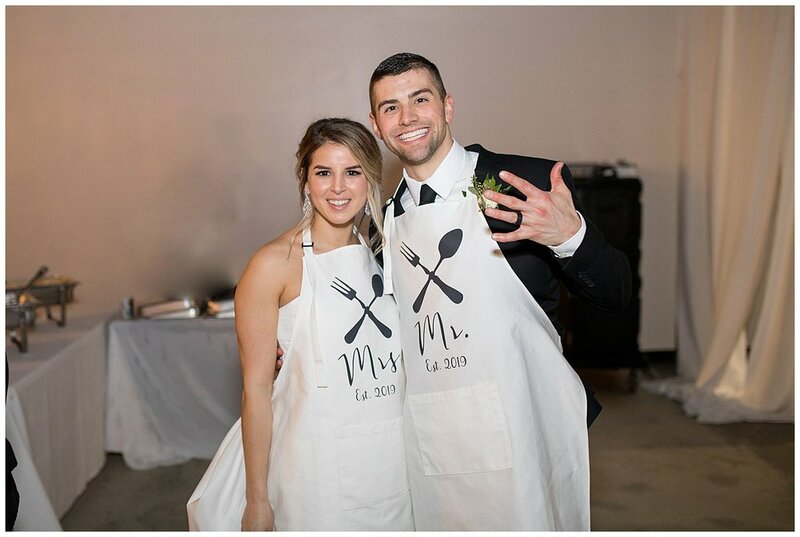 My favorite detail of the day was when Ali & Luke put on Mr. & Mrs. aprons and served dinner to their guests! I have never seen this before and thought it was such a cool idea! 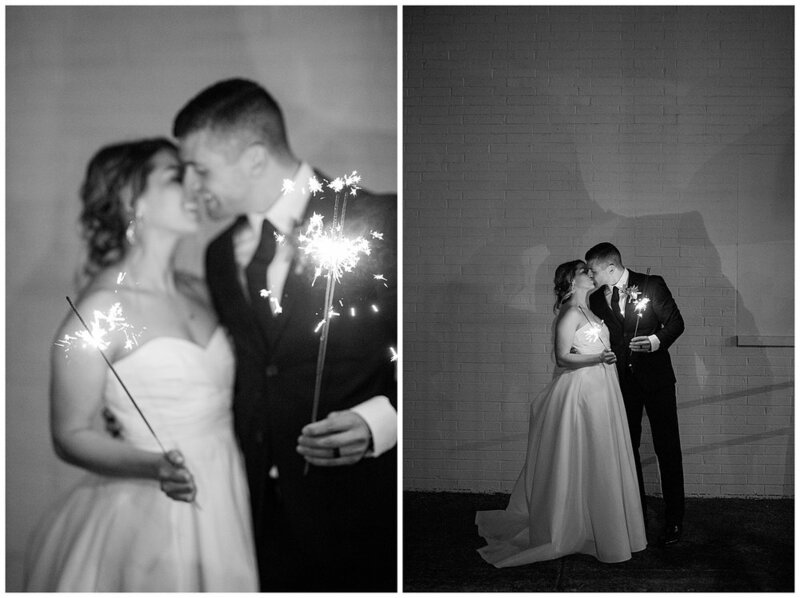 They also probably had the best first dance I have ever seen, which was so much fun to photograph. 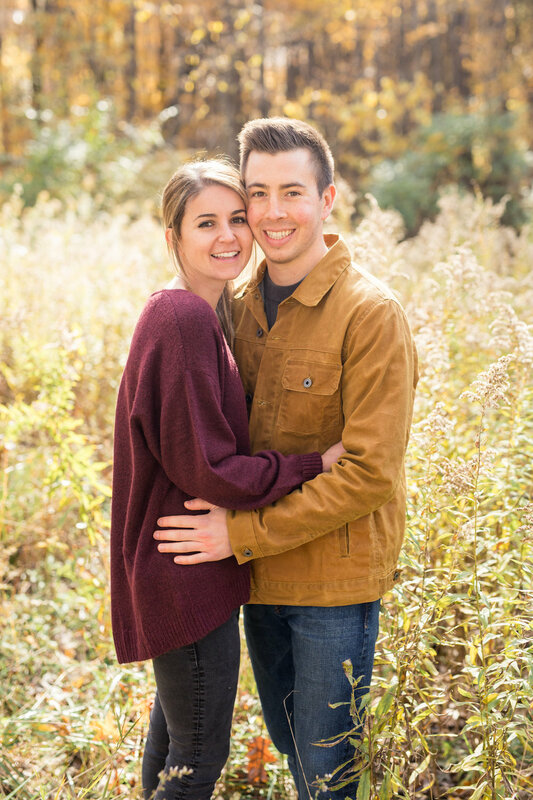 These two sure know how to get down on the dance floor! 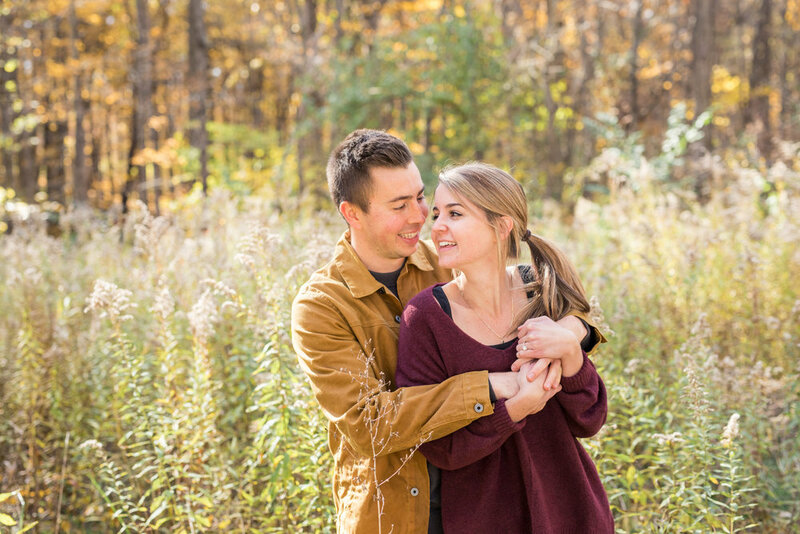 I had an amazing day with these two and can’t wait to deliver their gallery soon! 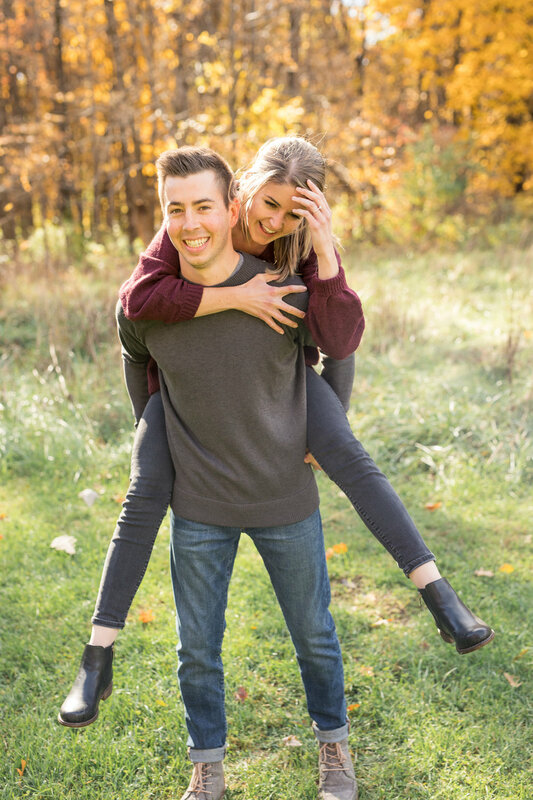 Below are the amazing vendors who helped with Ali & Luke’s special day along with some of my favorite photos! 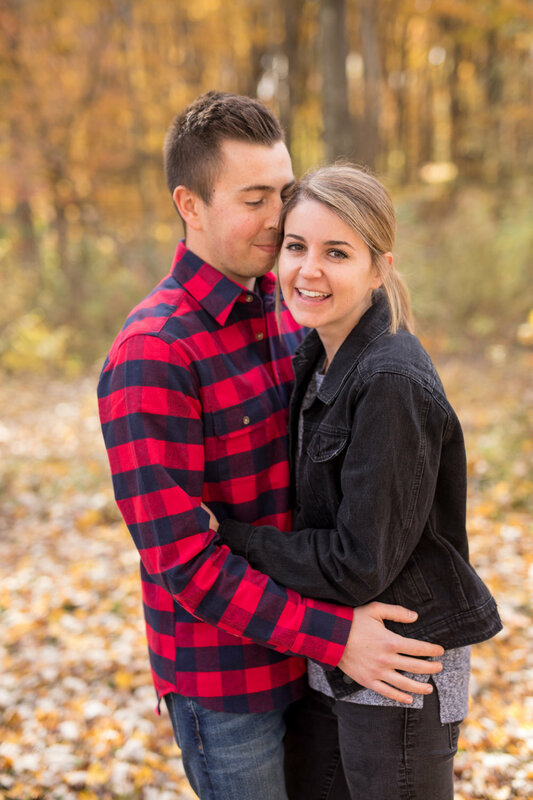 I started off my Columbus engagement session marathon with a morning session with Ali and Luke. It was the morning after the time change so we had an extra hour of sleep and some brighter light, all of which I was thrilled about. Other than some chilly winds to start off the day, it was beautiful and overcast and an absolutely perfect morning from a photographers view! We searched around Fred Beekman park for some colorful trees and we were pretty darn successful. 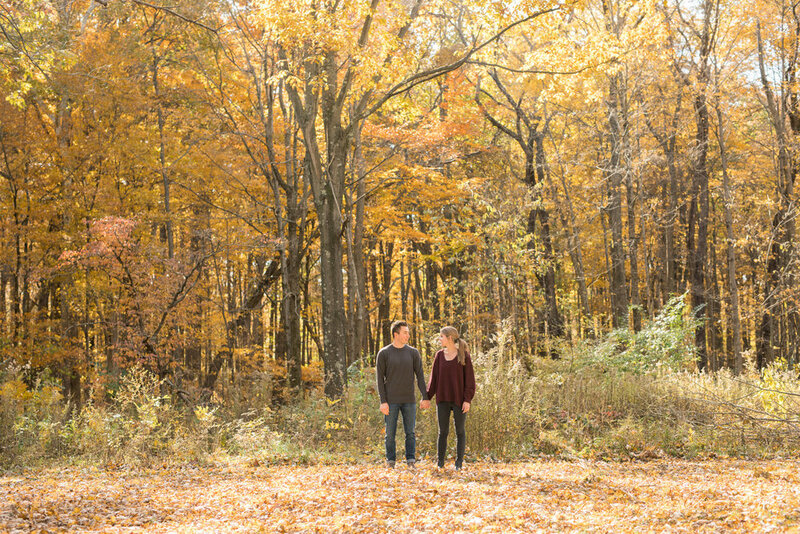 Take a look at all the color from their engagement session and you will fall in love! We also had time to do some workout photos. 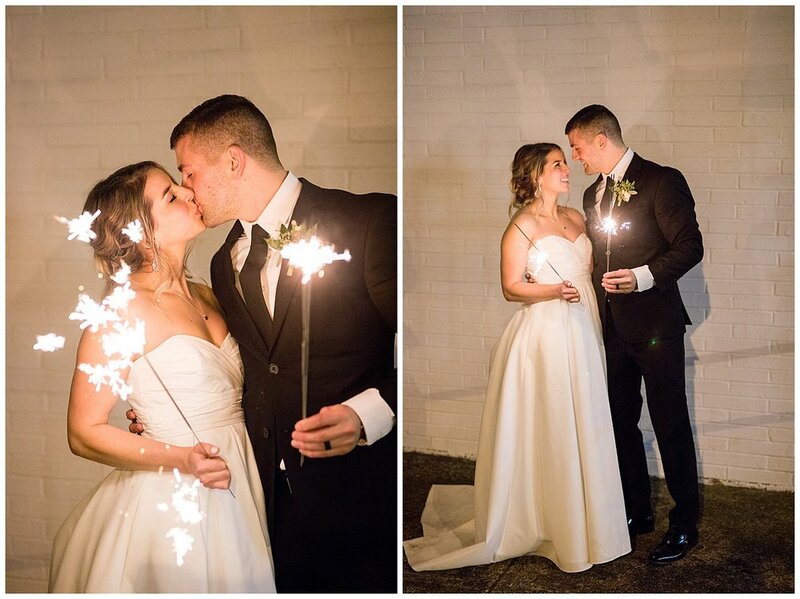 You know me, I love anything unique and special to the couple, so I was all about it! 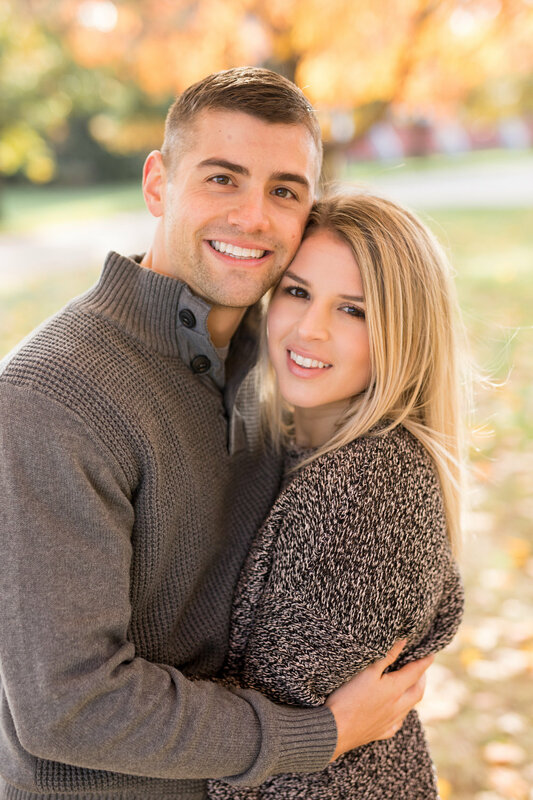 I can’t wait for their wedding that is right around the corner is February!